Starting plugin version 3.1.5, Sticky functionality is a great way to optimize your website, by keeping content updated and most valuable information on top of other data. Set Fixed Position (Sticky) for objects in the list so they will always show first. When publishing new posts, the sticky objects will stay in same position as defined. A sticky position is defined by a number, which will set the post as fixed position in the list. 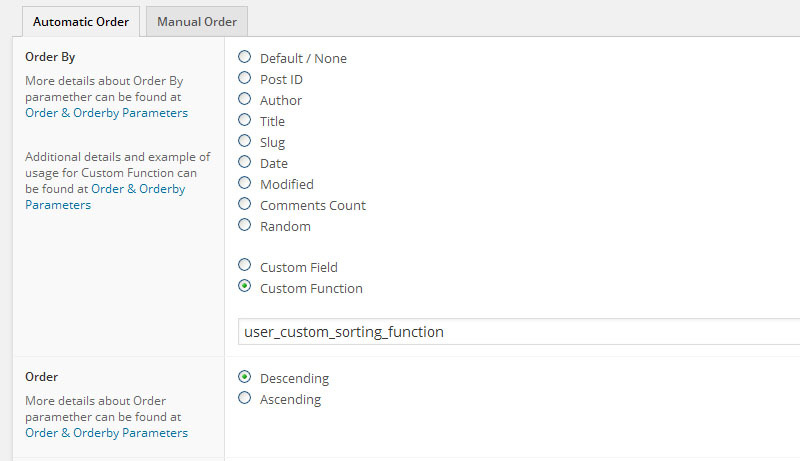 This will allow you to create custom sort lists through the Front End of your site. During the last years the WordPress become one of the best Content Management System, the features and a great interface, also the ease of usage makes the best environment for a serious website. There are certain functionality which is not available either planed to be implemented giving the complexity, the Advanced Post Types Order plugin got the content management a step further and fill a gap in the WordPress core by implementing the possibility to sort any custom post types. We all know how important is the data and texts positioning on front site, as this will make the difference of retain a visitor interest or make it go away. Time is an important aspect for everyone, so making the important things show first will be a huge benefit all. 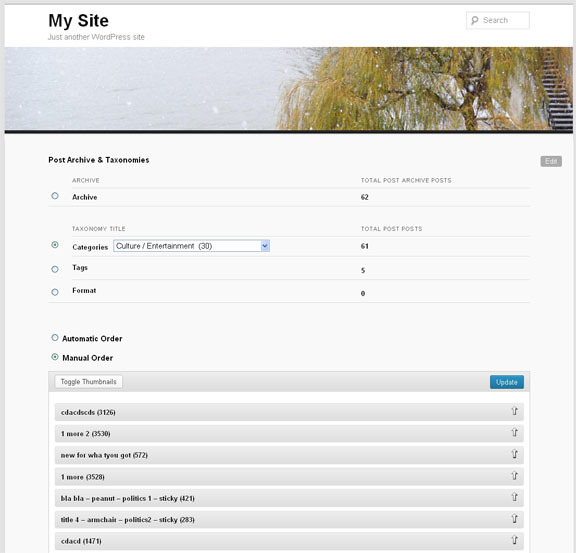 Recently the Advanced Post Types Order got an important update, any sort type is now possible through front end. This is an important feature for those who do not allow users to access the admin interface. The feature is available in a form of WordPress shortcode which can be used within any page, post or any custom post type, like a regular shortocde. The most versatile and flexible WordPress plugin which turn your website into a multilingual ready, called WPML become a unique piece of code which is a must have. those days. Easy to use, intuitive to navigate, publish and you are ready to go multilingual. Documentation and Usage for Advanced Post Type Order plugin regarding installation, sort lists creation, sort settings, simple / complex sort types, manual / automatic order type, sort conditionals. I’d personally like the focus of the release to be about content editing (revisions, autosave, workflow, editing modes, etc). A collection of codes and documentations on how the Advanced Post Type Order API can be used. Sample code usage for every API filters and functions are provided.